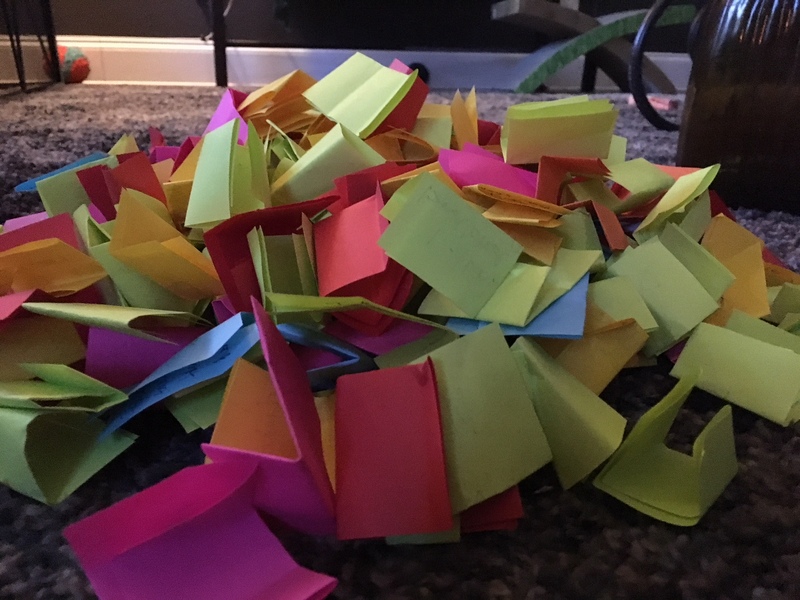 In keeping with what has become a tradition at the end of each year, I opened my Gratitude Jar and read the hundreds of things that I had found to be grateful for in the previous 12 months. Writing something on a piece of paper each day started almost as a dare a few years ago, something to see if we could do it, and has evolved to a habit that is now part of my daily routine. Some of them are big things with amazing moments and others are tiny moments that made me smile – that perhaps I would not have thought of at all if I had not been thinking of feeding the jar. All are things that helped me to stop and think, to appreciate both the riches and challenges of my life. All of them are daily gifts of reminding me to stay present and know that a fun concert with friends can be a source of gratitude just as getting stuck in a traffic jam and learning to tap into patience and compassion for the person or people who may be hurt in the accident. I lost two animals this year, both died peacefully and my jar had numerous references to the gratitude I felt for being able to know them and to know their deaths were peaceful. I was grateful for the cop who pulled me over for clearly running a red light and simply letting me vent my frustrations at being lost and giving me a warning instead of writing a ticket. His calm, understanding manner had far more of an impact on me than paying a fine ever would. I suspect he knew that and later I saw it too. Friends who are there for me whether they reside in Florida, NYC, Maine, Austin or beyond continue to provide a source of strength and support and a whole lot of good ol’ fashioned laughter. Their names showed up again and again as I pulled the slips of paper out of the jar. The names of new friends were in the jar also and so many experiences of discovering new and not-so-new places. The jar triggered memories, reflections and a few happy tears. The lessons that come from the jar continue to inspire and encourage me to feed it for another year. Each year as I finish reading I toss every slip of paper into the fire in hopes that the goodness held there will magically go out to everyone. Why not? I’m more and more convinced there’s magic in that jar.